Thomas Hardy complained that censors were prudish so it isn’t just this book which had parts cut. One translator was sent to jail so publishers were under legal threat. There is much repetition in the textual introduction of material in the general introduction. Is Basil the angel and Lord Henry the devil in Dorian’s ears? The latter urges a pre-Christian, Greek morality. One chapter is self-indulgent and contains much tedious description but otherwise the book skilfully leaves much to the imagination. The anti-Semitism when referring to the theatre manager is typical of its time. The name Dorian evokes ‘Greek love’. The portrait remains ‘in the closet’. Algiers is mentioned – a hangout for English homosexuals. Wilde’s typical bon mots are amusing to start with but become tiresome after a while. Is it autobiographical? Wilde once remarked that it “contains much of me in it. 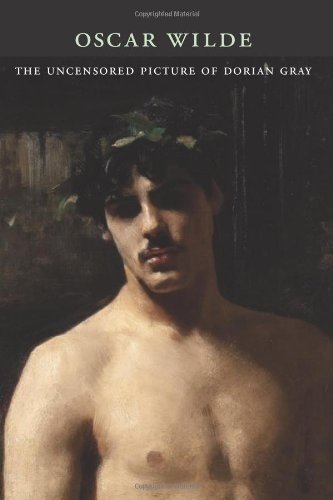 ….that Basil Hallward is “what I think I am” but “Dorian what I would like to be—in other ages, perhaps.” Wilde’s comment suggests a backward glance to a Greek or “Dorian” Age, but also a forward-looking one to a more permissive time. That Dorian and Lord Henry contain elements of John Gray and Lord Ronald Gower: does not begin to account for the com­plexity of these characters or for their vibrancy on the page. It is only the intellectually lost who ever argue. to influence a person is to give him one’s own soul. He does not think his natural thoughts, or burn with his natural passions. His virtues are not real to him. His sins, if there are such things as sins, are borrowed. He becomes an echo of some one else’s music, an actor of a part that has not been written for him. The aim of life is self-development. To realize one’s nature perfectly—that is what each of us is here for. It has been said that the great events of the world take place in the brain. It is in the brain, and the brain only, that the great sins of the world take place also. Beauty is a form of Genius—is higher, indeed, than Genius, as it needs no explanation. You have only a few years in which to live really, perfectly, and fully. When your youth goes, your beauty will go with it…….Every month as it wanes brings you nearer to something dreadful. Time is jealous of you, and wars, against your lilies and, your roses. You will become sallow, and, hollow-cheeked, and dull-eyed. `I am jealous of everything whose beauty does not die. I am jealous of the portrait you have painted of me. Why should it keep what I must lose ? Every moment that passes takes something from me, and gives something to it. Oh, if it were only the other way! If the picture could change, and I could be always what I am now ! Why did you paint it? Lord Henry had not yet come in. He was always late on principle, his principle being that punctuality is the thief of time. ‘The formal monotonous ticking of the Louis Quatorze clock annoyed him. Once or twice he thought of going away. Nowadays people know the price of everything, and the value of nothing. I remembered what you had said to me on that wonderful evening when we first dined together, about the search for beauty being the real secret of life. `Half-past six! What an hour! It will be like having a meat ­tea, or reading an English novel. It must be seven. No gentle­man dines before seven. I am a little jealous of the picture for being a whole month younger than I am. Basil, my dear, boy, puts, everything that is charming in him into his work. The consequence is that he has nothing left for life but his prejudices, his principles, and his common sense. The only artists I have ever known, who are personally delightful, are, bad artists. Good artists exist simply in what they make, and consequently are perfectly uninteresting in what they are. Remote from one, but whose sorrows stir one’s sense of beauty and whose wounds are like red roses. drawback to marriage is that it makes one unselfish. And unselfish people are colourless. They lack individuality. The love that he bore him—for it was really love—had nothing in it that was not noble and intellectual. It was not that mere physical admira­tion of beauty that is born of the senses, and that dies when the senses tire. It was such love as Michael Angelo had known, and Montaigne, and Winckelmann, and Shakespeare himself. It was rumoured of him once that he was about to join the Roman Catholic communion; and certainly the Roman ritual had always a great attraction for him. The daily sacrifice, more awful really than all the sacrifices of the antique world, stirred him as much by its superb rejection of the evidence of the senses as by the primitive simplicity of its elements and the eternal pathos of the human tragedy that it sought to symbolize. He loved to kneel down on the cold marble pavement, and watch the priest, in his stiff flowered dalmatic, slowly and with white hands moving aside the veil of the tabernacle, or raising aloft the jewelled lantern-shaped monstrance with that pallid wafer that at times, one would fain think, is indeed the ‘panis celestis,’ the bread of angels, or, robed in the garments of the Passion of Christ, breaking the Host into the chalice, and smiting his breast for his sins. The fuming censers, that the, grave boys, in their lace and scarlet, tossed into the air like great gilt flowers, had their subtle fascination for him….. But he never fell into the error of arresting his intellect or of mistaking, for a house in which to live, an inn that is but suitable for the sojourn of a night, or for a few hours of a night in which there are no stars and the moon is in travail. Mysticism, with its marvellous power of making common things strange to us, and the subtle antinomianism that always seems to accompany it, moved him for a season; and for a season he inclined to the materialistic doctrines of the Darwinismus movement in Germany, and found a curious pleasure in tracing the thoughts and passions of men to some pearly cell in the brain, or some white nerve in the body, delighting in the conception of the absolute dependence of the spirit on certain physical conditions, morbid or healthy, normal or diseased. Yet, as has been said of him before, no theory of life seemed to him to be of any importance com­pared with life itself. He felt keenly conscious of how barren all intellectual speculation is when separated from action and experiment. He knew that the senses, no less than the soul, have their spiritual mysteries to reveal. He had a special passion, also, for ecclesiastical vestments,’ as indeed he had for everything connected with the service of the Church. In the long cedar chests that lined the west gallery of his house he had stored away many rare and beauti­ful specimens of what is really the raiment of the Bride of Christ, who must wear purple and jewels and fine linen that she may hide the pallid macerated body that is worn by the suffering that she seeks for, and wounded by self-inflicted pain. For these treasures, and everything that he collected in his lovely house, were to be to him means of forgetfulness, modes by which he could escape, for a season, from the fear that seemed to him at times to be almost too-great to be borne. 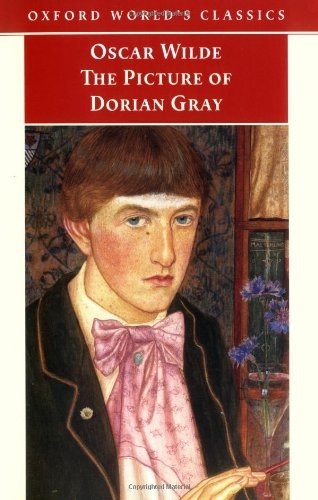 Dorian Gray had been poisoned by a book. There were moments when he looked on evil simply as through which he could realize his conception of the beautiful. I have read this twice before but have just read it in conjunction with the recently published uncensored version edited by Nicholas Frankel. The latter has 13 chapters whereas the former had twenty. Did Murray add chapters to soften the impact or to explain to readers some extra background? Murray’s chapter 3 has Henry visiting Uncle George to find out about Gray’s family background. Her chapter 5 has Sybil Vane telling her mother that she has become engaged. Her brother, James, is suspicious. In chapter 15, Dorian goes to a party of Lady Narborough’s and people notice that5 he is ‘out of sorts’. Chapter 16 is his taxi ride to an opium den where he meedsAdrian Singleton and, later, James Vane, who remarks that he hasn’t changed in eighteen years. In chapter 17, Dorian talks to the Duchess of Monmouth. In chapter 18 he tried to save a hare from being shot but James Vane is shot dead in this hunt. His principles were out of date, but there was a good deal to be said for his prejudices. what brings you out so early ? I thought you dandies never got up till two, and were not visible till five. the only things one never regrets are one’s mistakes. Nowadays all the married men live like bachelors, and all the bachelors like married men. The man who could call a spade a spade should be compelled to use one. What an interesting way to start a book – with a funeral. You get introduced to all the characters but they are all (or mostly) on their best behaviour so you know that you have more to learn about them and what they’re really like: They ended with the professional choices of the professional undertaker, the grand official sorrow of the priest from a church no one ever went to. He accepted solicitude and regret gracefully. When the Secretary of State came, John, too, was flattered, and he could not suppress the thought that Helena would have been delighted at this man turning up at her funeral, who for seven years had never man­aged to get to one of her parties. Like most modern books, the story jumps about. There’s a scene set in the notorious ‘Brief Encounter’ bar: Later on they went to bed together. The man gave him a false name and telephone number afterwards. Louis gave him his real name and a false telephone number, since he did not like him one bit, had fucked him out of politeness and did not want to be troubled by part-time heterosexuals. The man left in time for Louis to have dinner on his own before going to bed. Who else entitles a chapter: Have you ever been fucked? I had to look up ‘Zooty clothes’. Surely it doesn’t take a day and a half to clear the air of cigarette smoke. ……how like life it is. You get asked what you’re going to want when you’re almost bound to make the wrong decision, and then you’re stuck with it. When the trolley lady comes round in the end, you might fancy the sole, but you’re stuck with the sausage sandwich. Or perhaps you could only really manage a small salad, but you have to get through an enormous beef stew. I would have thought that the author would have known better than to have written ‘bored of’ when he meant ‘bored with’. It wasn’t in direct speech. There is clearly a waste of space in the Palace of Westminster. Literally, many rooms where nobody enters or even knows about. Also people who have little or no work to do but are paid handsomely every month. There is also a lot of hot air: Mem­bers; their lack of hygiene; their badly cut suits; the halitotic stew of their breath. I greatly enjoyed someone describing Mrs. Thatcher as an ‘old cow’. It is said that the author’s career as a full-time novelist was launched with a scandal that saw him sacked as a House of Commons clerk after writing this novel – he gave an interview for a gay magazine in which he described Members of the House of Commons as ugly. In the story, one member is described as a lunatic and in the voting on the fate of the prime minister, most are shown as not knowing what they were doing and simply relying on the Tory party whips to tell them how to vote. He describes his sacking after the publication of Kitchen Venom as “one of the happiest moments of my life. It was bliss”, although he acknowledges that he “wasn’t exactly starting from scratch when I lost my job”. 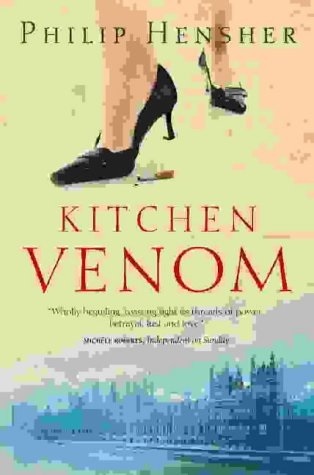 Some say that Kitchen Venom foreshadows Alan Hollinghurst’s The Line of Beauty, especially its portrayal of the coldness underlying the relationships. No spoilers but the ending is in very lyrical prose. Kitchen venom; a place nourishment was produced, and a place from which poison could come. When he had bought the flat, he had considered that it would be good for him to have a lodger. It would give him a certain amount of income, and it would introduce him to a large circle of people whom he would otherwise not meet. He therefore informed a telephone service for homosexuals in London that he was looking for a lodger. The prospective lodgers who had visited him were three. The first was a man who propositioned him before he had been shown the whole flat. Never before had people lived on the streets of London; never before had people been asked for money; never before had people asked for money.